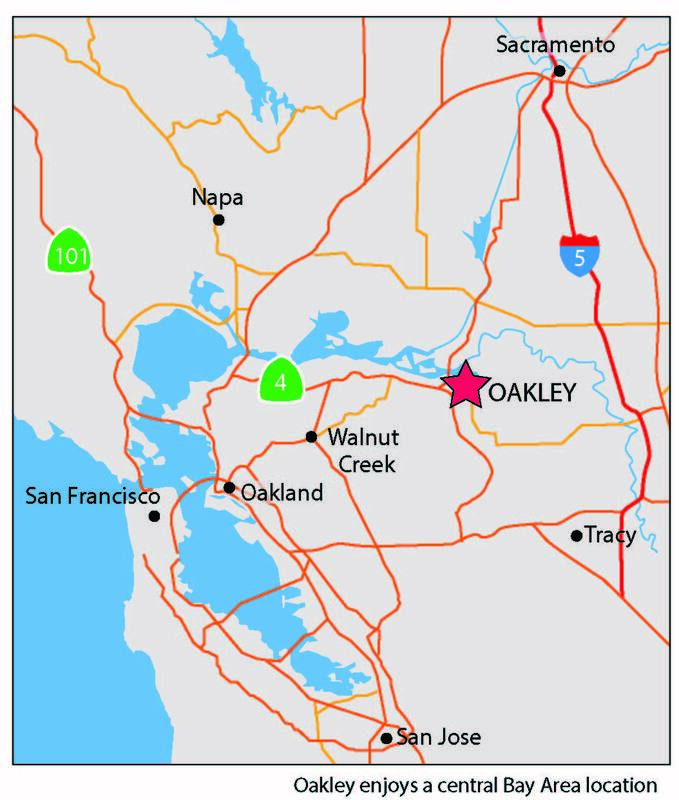 Situated in East Contra Costa County in the San Francisco Bay Area, Oakley sits along the picturesque California Delta. 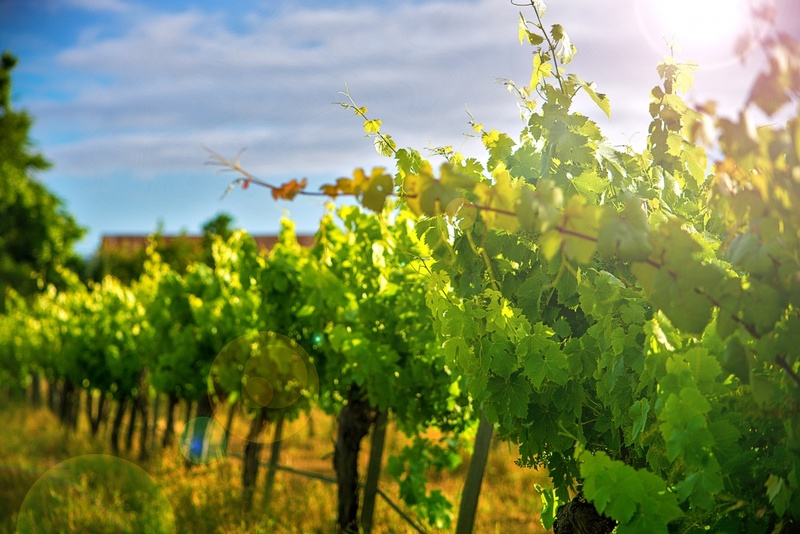 The town is centrally located- 55 miles east of San Francisco and 55 miles south of Sacramento. 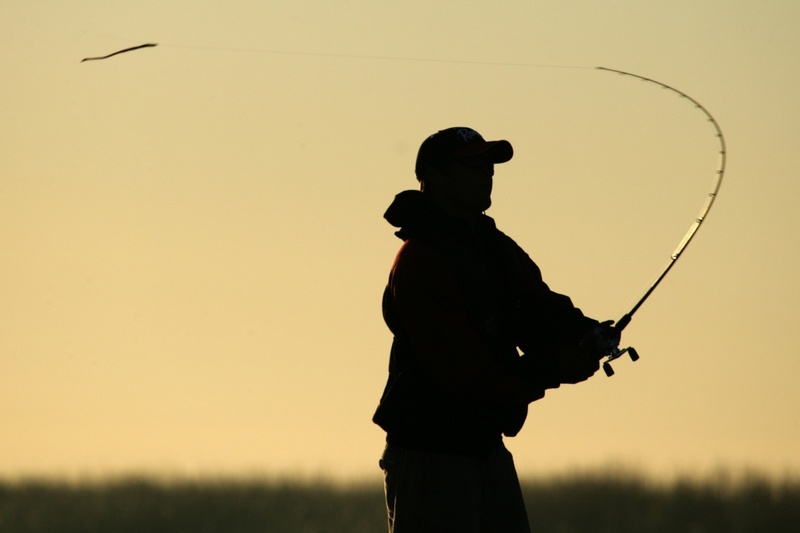 This allows Oakley residents to enjoy outdoor activities and a high quality life… all with a small town charm! 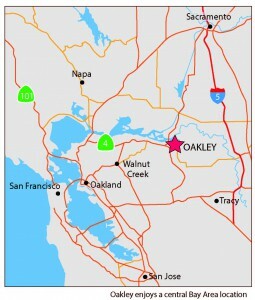 To learn more about the City of Oakley, visit www.OpportunityOakley.com. Here you can learn about Oakley demographics, Oakley businesses and opportunity sites for your business or development.